← Does the Brain Injury Prove Abuse, or Not? The support group for convicted father Clayton Allison in Alaska has posted a disturbing video that not only reveals the heartless tactics employed by police investigators but also showcases the extraordinary strength of Clayton’s wife Christiane, who seems to have been the only honest person in the room during her interrogation. From the beginning, Christiane Allison says, she believed her husband’s report that he had accidentally left the baby gate open, allowing their 15-month-old daughter Jocelynn to fall down the stairs. Based on medical opinion, Clayton was convicted of second degree murder this past February, and sentenced last week to 30 years in prison. The interrogation was conducted in January of 2009, four months after the incident, when the police called the child’s mother to the station to tell her that the medical examiner had declared Jocelynn’s death a homicide. In the video, two state troopers are trying to convince Christiane, 22 years old at the time, to call her husband immediately, on a secretly taped line, and ask him what really happened that day. “Either you’re on the side of Jocelynn or you’re on the side of Clayton,” one officer explains, insisting that Christiene look at the autopsy photos and mocking her statements that she loves her daughter. 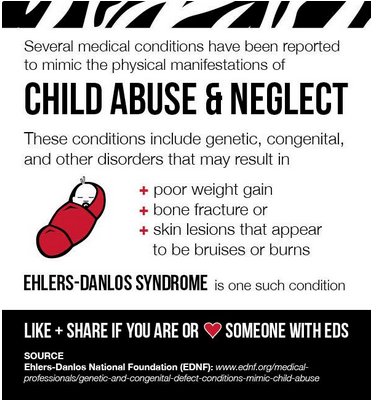 Since Jocelynn’s death, her mother has been diagnosed with Ehlers-Danlos Syndrome. “Clayton has been lying to you every day since September,” the interrogator sneers. “The fact that Clayton makes love to you knowing he did this to your daughter, that’s deception,” and she thrusts in Christiane’s face a color glossy from the autopsy that shows the skin of the girl’s face peeled back and bunched up under her chin. The video is just short of 34 minutes long and well worth watching, available on the Free Clayton Allison web site and on YouTube. What I find chilling is the troopers’ willingness to treat a grieving mother with such callous contempt. Christiane Allison was not home the day of the incident. She was never a suspect. But the police were sure her husband had been lying to her—because that’s what the doctors told them—and because she believed her husband, the troopers were willing to accuse, berate, and taunt her for four hours, while she didn’t change her story by an inch. Do the doctors know how the police conduct these interrogations? Do they care? Of course watching the video reminds me of Scenes of a Crime, the award-winning film that eventually led to the release of Adrian Thomas in New York. The outpouring of support for the Allison family echoes other movements that have been springing up in child head-injury cases—on behalf of Joshua and Brenda Burns in Michigan, for example, and Melissa Calusinski in Illinois. I’m discouraged because the convictions continue, but I’m encouraged because defense groups continue to seek relief for those in prison—as in the cases of Albert Omenged Debelbot and Ashley Deone Debelbot in Georgia, Leo Ackley in Michigan, Jeffrey Havard in Mississippi, and many others, including but not limited to Brian Peixoto and Amanda Brumfield. I hope the families and communities affected by these misguided accusations will keep speaking up, and that they’ll start connecting with others in the same position. I encourage anyone who has personal experience with the misdiagnoses of physical child abuse to look into the Protecting Innocent Families petition at http://bit.ly/InnocentFamilyPetition and its companion web site. If you are not familiar with the debate surrounding shaken baby theory, please see the home page of this site. That’s needlessly charitable. Their job – the result for which they are rewarded – is not to find truth but to find (or create) evidence to lead to a conviction. Sue you are doing a wonderful job, making this information available. I wonder if your followers realise that all crimes against people, as well as some crime against property are investigated the same way, with abusive investigation means, that frequently get false confessions. That interrogation was horrible to watch and I agree that she showed amazing poise and conviction during such a traumatic event. I would be interested to know if she supports her husband today. The women that conducted the interrogation were absolutely heartless, callous, horrible creatures. I hope this video is viewed by many, because even though she was not the suspect, it gives you a pretty good idea of their tactics. Thank you kindly for mentioning Jeff Havard’s case. Finally, he is on the positive side of the isle! As always, I love this blog! Yes, she does still support her husband. Myself, I imagine she would be more loyal to him than ever after an interrogation like that one. The police were clearly not investigating anything, only trying to collect a statement that would help them nail their man. I totally agree. I am glad she believes in her husband. As if a fall down the stairs cannot cause AHT/TBI. I am still sickened by watching that interrogation. A fishing expedition in the most horrific manner. As a recent death row exoneree stated, “The deck is already stacked”. I will keep them in my thoughts and prayers, hoping for his relief. I will also hope Karma bites those detectives.